Pakistan has finalized a deal to acquire eight Chinese-made S20 diesel-electric submarines for the Pakistan Navy, making this class of submarine the most numerous in the navy's Submarine Service Force (SSF) and giving the SSF numerical parity with its opposite number in India. 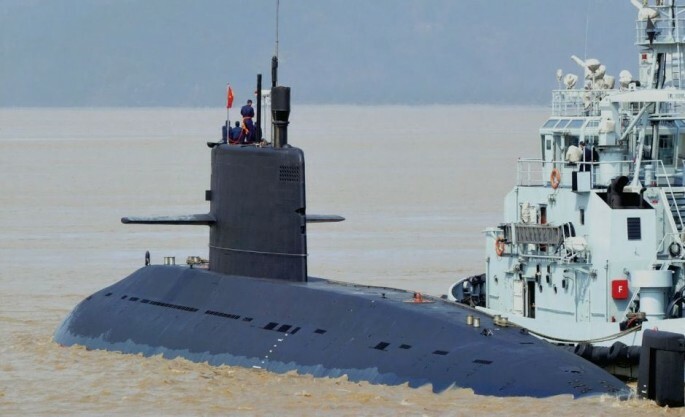 Under the deal with China, four of the ultra-quiet subs will be made at the Karachi Shipyard & Engineering Works (KSEW) while the remaining four will be built in China. Four of the subs will be delivered by 2023 with the remainder by 2028. The eight S20s will be capable of firing anti-ship missiles (ASMs) while submerged, an advantage enjoyed by its three sister submarines in the Khalid-class and two in the Agosta-70 class. The addition of the eight S20s will bring to 13 the number of modern submarines in the SSF. The Khalid class can fire French-made Exocet missiles while the Agosta 70A subs can unleash United States Harpoon missiles. The S20s will most likely fire Chinese-made ASMs. The original Chinese version of the S20, the Type 041 Yuan-class, can fire YJ-8 ASMs. The export version of the YJ-8, the C-802, was used by Yemeni Houthi rebels to attack a U.S. Navy destroyer three times this month in the Red Sea. All the C-802s missed their target. The Type-041's torpedo armament includes Yu-4 (SAET-50) passive homing and Yu-3 (SET-65E) active/passive homing torpedoes. The Type-041 is the quietest submarine in the People's Liberation Army Navy Submarine Force. The Type-041 is also known as the Type-039A in the PLAN, which operates 28 of these subs. The 13 submarines in the SSF should be enough to deny the Indian Navy unrestricted operations in the Arabian Sea. In contrast, the Indian Navy operates 14 submarines: 1 Chakra (Akula II)-class; 9 Sindhughosh (Russian Kilo)-class and 4 Shishumar (German Type 209/1500)-class. Pakistan will pay up to $5 billion for the eight S20s. The Pakistan Navy is upgrading its undersea warfare capabilities in the face of an equal upgrading being undertaken by India.